Many studies have been done on the effects of Art and Healing. Factors involved in producing Healing Environments are primary to our senses; sight, taste, smell, touch and hearing. Our senses pick up information that is relayed to the brain, and in turn it will affect our physiological, emotional, psychological and ultimately our physical condition. The visual environments created by using my images are designed to create a unique look that will enhance your space, and provide for a more desirable work place. Also, they will provide a strong competitive edge for your facility. 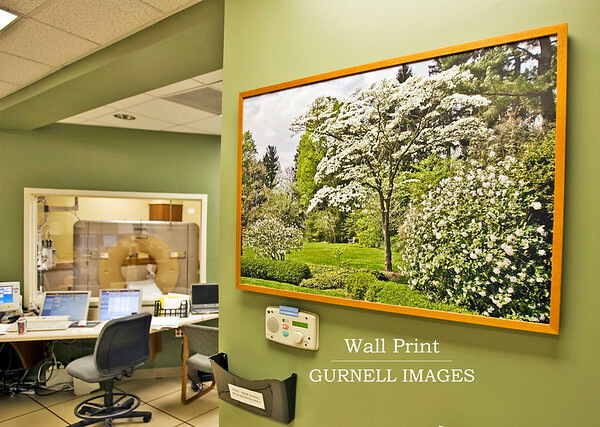 Pictures are sourced for Visual Healing Environments in Healthcare Facilities, or Treatment Facilities of any kind. They are placed in Lobbies, Waiting Areas, Patient Rooms, CT, Ultrasound, MRI, Patient Holding Areas, and Cancer Centers. They provide Visual Therapy for Rehabilitation/Therapy Centers, and Senior Living Communities. Scenic images are aesthetic, warm, meditative, and are vital to the healing process. 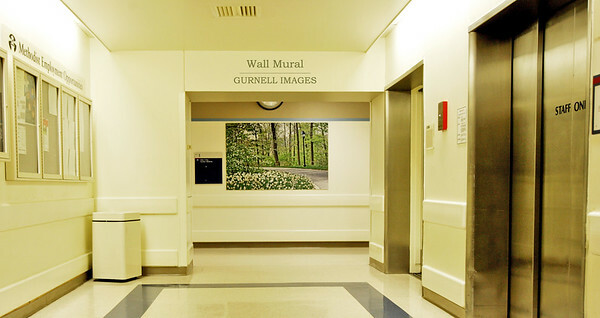 GURNELL IMAGES will work with you and your design team to select the most desirable display for your physical space. 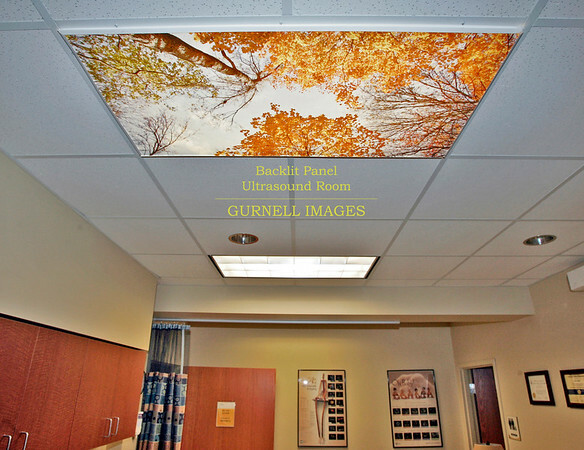 Custom Ceiling Panels can be made to fit any size ceiling. Wall Murals can be made to fit any size wall. 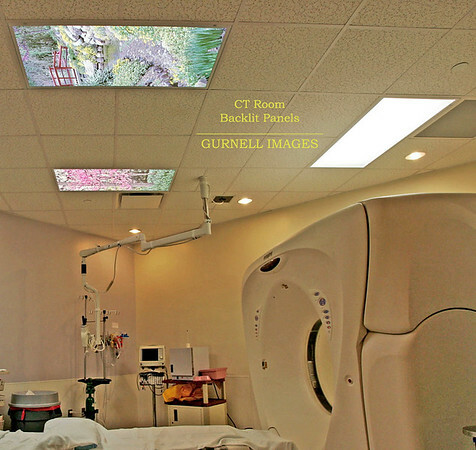 Back Lit Ceiling Panels 24x48 Custom Ceiling Panels can be made to fit any size ceiling. Wall Prints are available in many sizes.